Or view larger version. 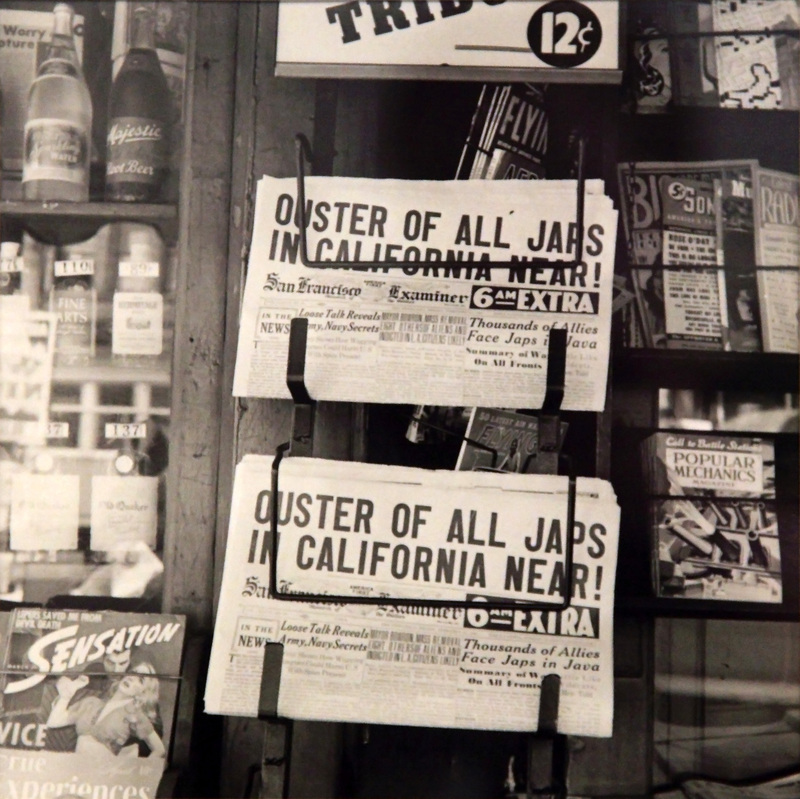 Untitled (Headlines, Oakland, California). February 1942. Dorothea Lange, photographer. Gelatin silver print. Collection of Oakland Museum of California. Gift of Paul S. Taylor.